We often find God in the dusty places and moments of our lives rather than the shiny and perfect ones. 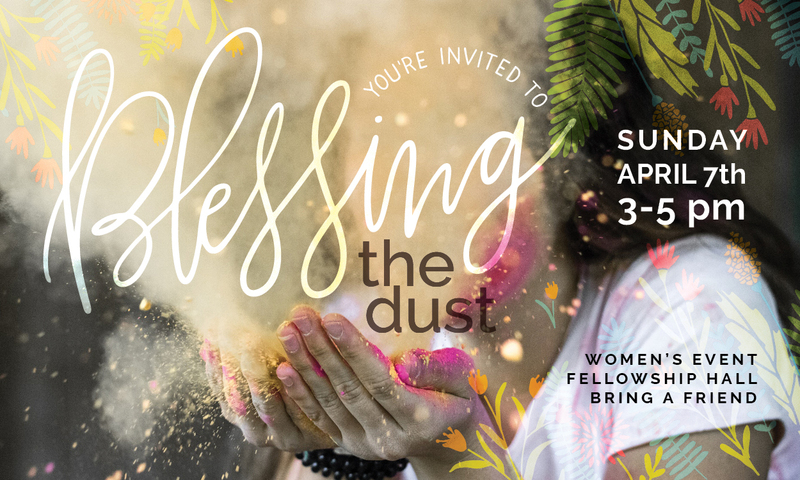 “Blessing the Dust” is a time for women, across ages, stages & experiences to connect, share, and encourage each other. Come fellowship with longtime and new friends, enjoy snacks, hear from three speakers, and more! Let us know you are interested in joining us by telling us on Facebook or by calling the church office (634-3603).